If you are in Harare and you frequent the 1st street/George Silundika section of the city you might have seen a nice looking green sign with OPPO written in white. I totally beamed with excitement seeing that brand in Harare streets I mean these guys own OnePlus which in my head meant the flagship killer is making its way to the streets of Zimbabwe. Stepped into the shop and the display shelves were still on the empty side but that was not the end of it. No OPPO was in sight. Just a couple of rows of midrange ZTE smartphones and tablets. Now if you were following recent events, Huawei’s mobile division as well as Samsung Mobile Zim backtracked on us ‘Zimbabwe’ because of the cash/forex mayhem that we found ourselves in and the only remaining brands with proper support were GTel, Tecno, Itel, Astro (somewhat) and Apple. BUT…something also seemed amiss. It’s fine for a 3rd party like Goldtech or an Econet Shop to have competing brands sharing some shelf space. However here I find ZTE and OPPO banners in an OPPO branded store with not OPPO but ZTE devices on its shelves. Well, how about that huh? So behind the scenes there’s a company called SATEWAVE TECHNOLOGIES a Technology company majoring in Solar Systems, Telecommunications and CCTV Command centers which is facilitating these devices’ appearance inside our boarders. Again if you roam around the heart of Harare that is 1st Street and you pay enough attention you must have seen some fancy looking contraptions with Satewave branding. These are e-waste bins used to dump electronic waste that includes dead chargers, earphones, gadgets and so forth not the empty cans and plastic bottles I have been seeing being packed into the poor things. We are better than this guys come on. Now they, “OPPO/ZTE store employees” say that OPPO devices will arrive soon but with no specific date. Maybe we might start seeing them January when companies open their books for the year. I’m still excited of the idea of them bringing it. As soon as it lands we’ll let you know. I’m curious to find out your thoughts on the arrival of OPPO. If they come, are you gonna rush to buy one? Someone’s Phone Won’t Be Supporting WhatsApp In A Few Days Time…Question Is Whose??? Chinees brand that tickles my fancy is Xiaomi, not Oppo. I need Xiaomi where can i buy one of those PLEASE!!!!! So its not really Oppo? I would have loved it if I finally had a place to get genuine OnePlus accessories but even if it was the real deal, I own the disowned stepchild, OnePlus X 🙁 Not much chance they would bring in anything X related. Pricing remains the sticky issue even when they have stock. It remains to be seen. Xiaomi is already in emerging markets like SA but you will not that, from a price perspective, the products are not as competitive as in China, the primary reason why most people love these devices, including myself. We may still find it cheaper to buy directly from the like of Heartbeat, Everbuying, Honorbuy among others as it’s relatively easier to deal with Zimra. i saw this Oppo store just yesterday and i quickly got excited but as i walked past i saw the Zte banner at the far end. i was confused thank you for explaining. 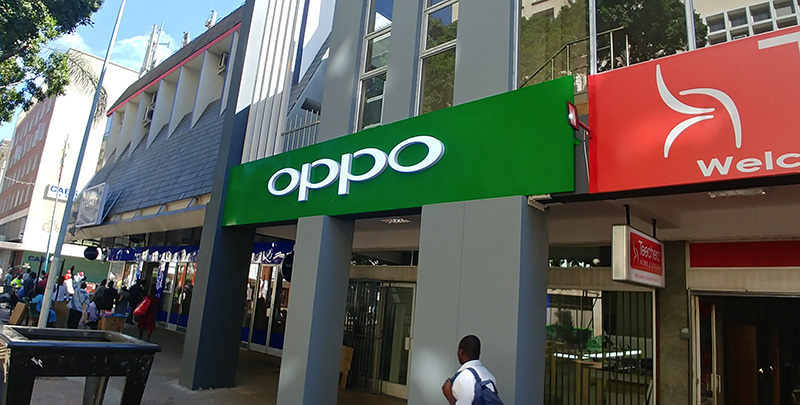 but why did they name the store Oppo if they plan on selling both brands?? I have used the one plus 3 for more than a year now and it’s a great device with solid hardware, specs etc at a decent price depending on how you got it. One plus is a very good and reliable brand and hopefully they will be decently priced.